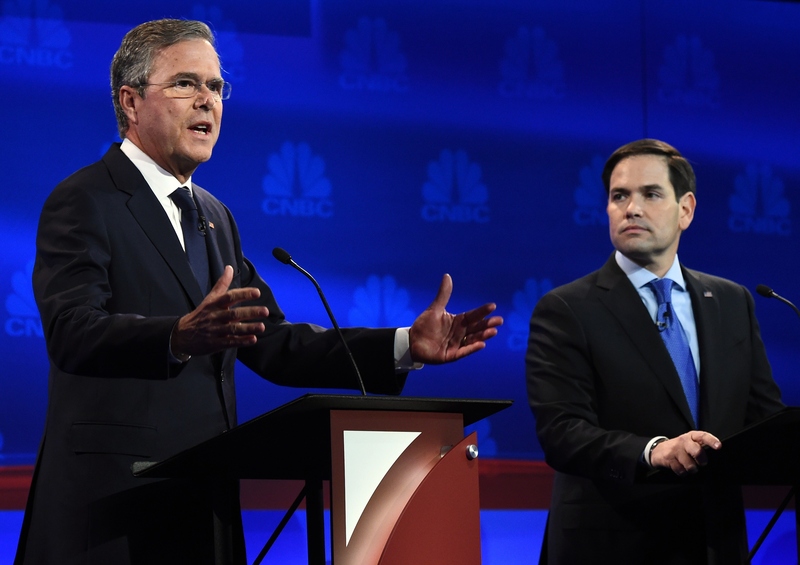 During the third Republican Debate Tuesday night on CNBC, a question put to Florida Sen. Marco Rubio about the number of senate votes he has missed quickly turned into a fight between him and Jeb Bush. If you were watching, you understand how a stream of Bush-Rubio debate fight memes almost immediately ensued. After Rubio answered the question by claiming that the media never attacks democratic candidates for missed votes, Bush told Rubio that he "should be showing up to work." He asked Rubio, "The Senate, what is that, like a French work week? You get like three days where you have to show up?" (Way to recall the conservative disdain for the French, Jeb!) He then suggested that Rubio resign.